The courses for are from 3 September 2018 till 28 June 2019. Registration is possible any time of the year, unless the course is full. A trial lesson is possible for the whole season. There are no lessons during the school holidays and bank holidays. A trial lesson is free. The lesson fees are: €35,- per months, €150,- per 5 months or €275,- for the whole season. A dojo member automatically becomes the member of the Dutch Aikikai Foundation, of which annual fee is €15. The fee should be transfered to the following bank account or paid per cash at the beginning of the period. Cancellations should be notified per e-mail or writing letter. The term of notice is one calender month. It is very important for children to do physical exercise in regular basis. If it is fun and has more meaning than just physical movements, it is even better. Training budo, martial art in Japanese, provide a good opportunity for children to develop their inner strength as well as physical ability. Comparing concepts of gentle(wo)man in different cultures in the East and the West, you will be surprised to find many common values . The Japanese concept of bushido, the way of samurai warrior, can be featured by the virtues such as respect, honesty, justice and courage. Those values are also main components of the medieval European concept of chivalry and of nobility in Arabic culture. Thus, a certain set of mental values are considered to be universal for being a strong, civilized person. 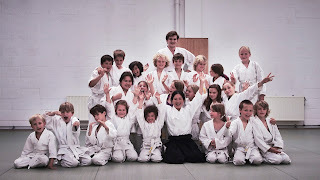 Through Aikido training, children learn rules and manners in dojo: respect towards each other; sincere and positive attitude towards learning and practice in general; enthusiasm and courage to take a new step; patience and resilience to pursue their goal – of course we bring lots of playful elements into the process and make it enjoyable for all kids. As Aikido is not about being stronger/ better than others, we have no competition. Aikido training is to develop your own body and mind, it is a process to overcome one’s own weakness and strengthen one’s own person. 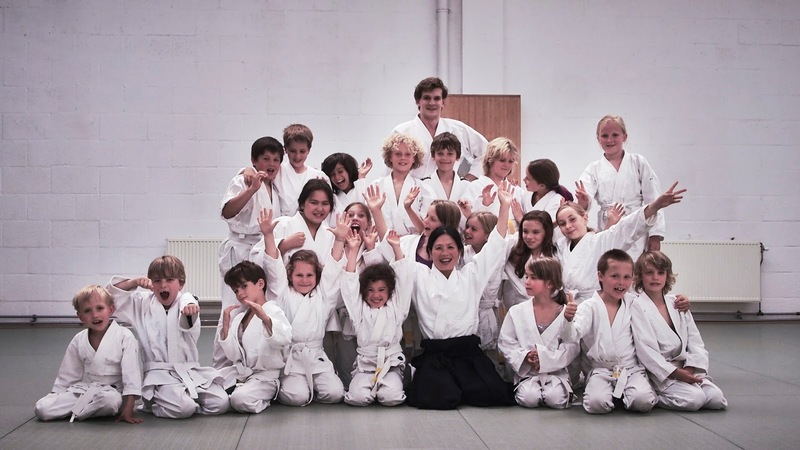 Thus, children who are feeling hesitant to participate in sport activities can also enjoy Aikido training, through which they will certainly gain more self-confidence. This is a special course for youth 12+ based on the Aikido principle, defence without fighting. The course will be given on request.